Last weekend, I saw a friend of mine and her brother whom I've known for close to a decade and as always, they took me around the area I usually don't get to see. 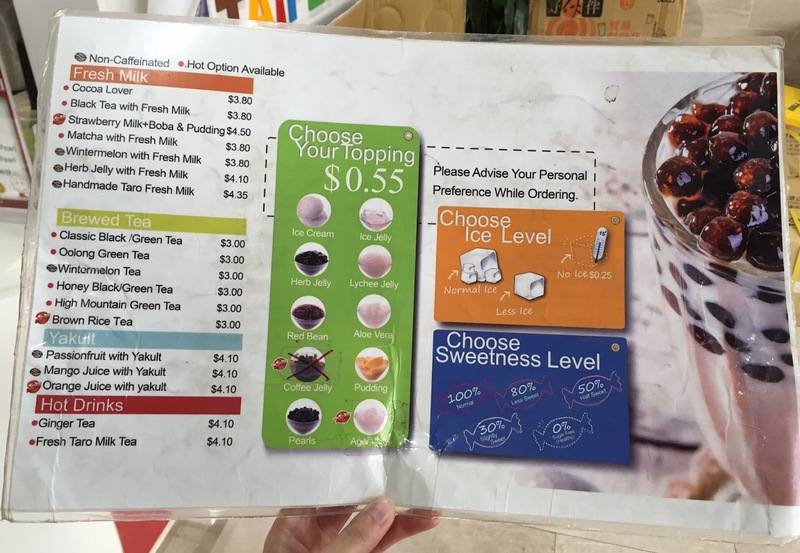 When we're in Berkeley, we went to get bubble tea, a.k.a. 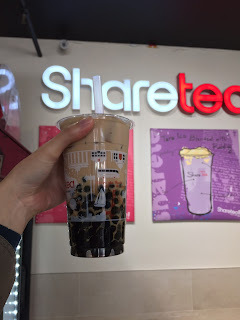 boba tea at Sharetea. 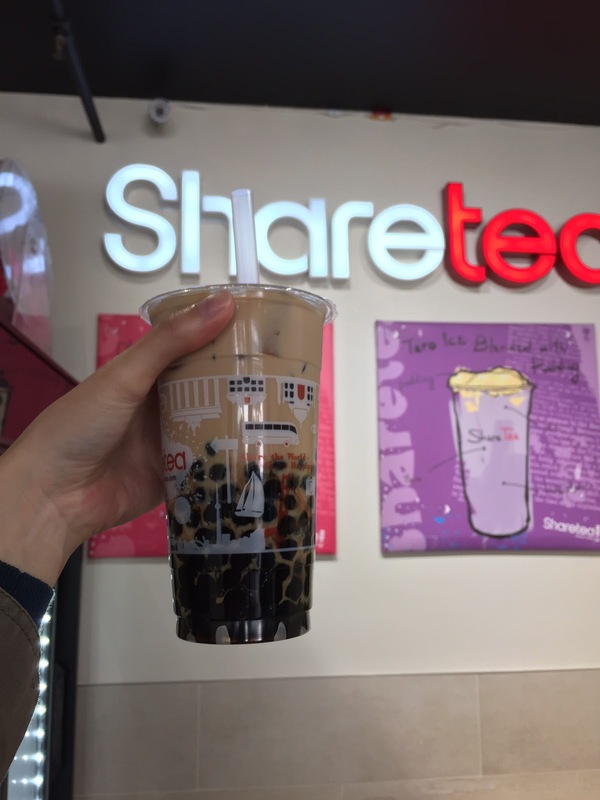 First, I was sort of full from Smoke's Poutine, but there's one thing I always wanted to do, and that is "to fill the cup with sh*t ton of boba." 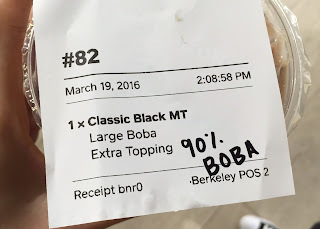 When I asked my friends, they said sure they could and asking wouldn't hurt, so I proceeded to the counter and asked the cashier, "Can you fill the cup with 90% of boba?" The cashier paused for seconds but said, "Sure" with a bit of confused voice. 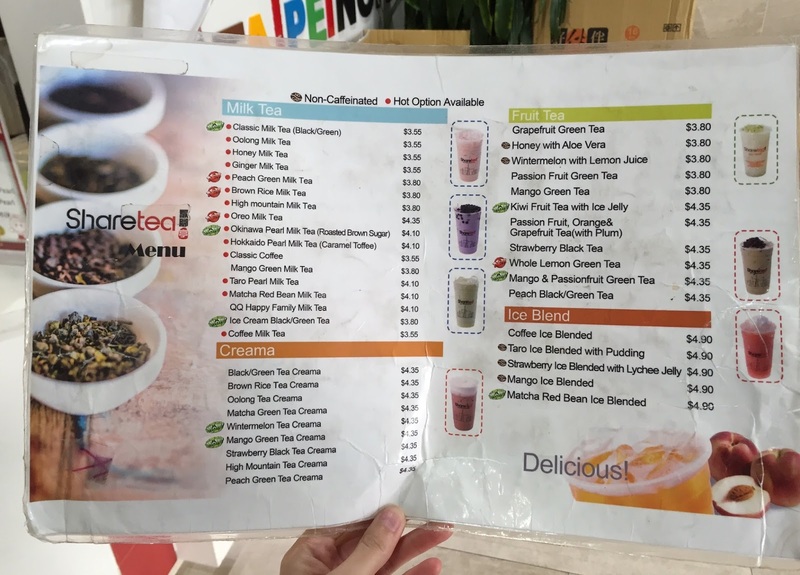 For the tea, I chose Classic Black Milk Tea, but there're so many kinds including fruits juice. They had options for toppings, sweetness and ice level. As I said nothing special about sweetness or ice level, I think it's prepared with 100% sweetness and normal amount of ice cubes. The receipt = proof of my order. Like my husband asked, some may be curious why I said 90% instead of "lots" or other expressions. 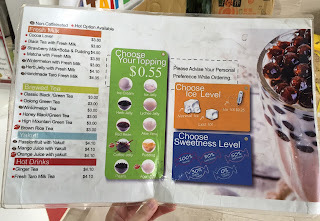 The reason I didn't use those "lots" or "many" was that those measurement is varied by individuals, and another reason I didn't say, "Please fill the cup with boba" is that I still wanted to drink some tea, which helps to bring the boba easily into my mouth. In a couple of minutes, my tea was ready. It's much heavier than what my friends got; regular amount of boba, not filled with boba like mine. 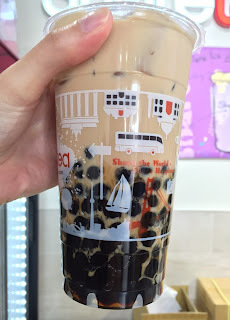 It looked like the normal boba would reach the white line at the lower side of the cup, like Boba Guys, but mine was filled close to the half. 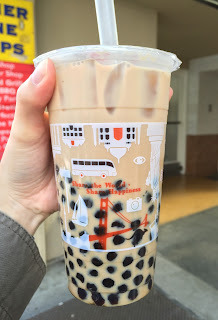 I assume that 90% of the cup wasn't exactly filing to the top as they need to add ice cubes and tea, but the boba was reaching the middle of the cup. As there're so many boba, the milk tea couldn't come down to the bottom. I stirred it slowly and carefully, then finally the tea could come to the bottom. 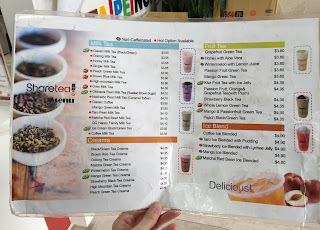 The classic black milk tea was sweet and also had some bitterness at the end. The boba was just AMAZING! How satisfying was it? 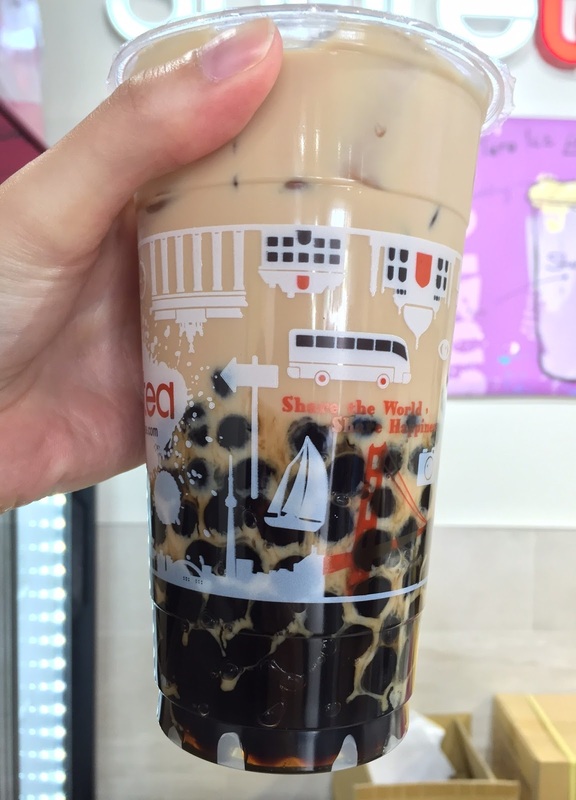 I can tell you that every sip had multiple black tapioca balls and I felt like they're shooting my mouth with deliciousness. I'd definitely would do this again because I enjoyed this so much that I was on cloud nine! Did you know you can create short urls with Shortest and make cash from every visitor to your shortened links.